LG shipped more flat panel TVs in the last three months than any time in its history, according to the Korean giants' latest financial results. Although the company was held back by a major blip in phone sales, LG's home appliances and a big hike in televisions helped them out. "LG Home Entertainment Company shipped more flat panel TVs in the third quarter – 6.6 million units – than at any time in its history, a 37 percent increase from the same period the previous year," said LG. "Home Entertainment revenues grew 9 percent in Korean Won (KRW) from the year earlier due to improved LCD TV sales, especially in emerging markets," it added. "Sales were KRW 5.4 trillion (£3 billion) and operating profit was KRW 123 billion (£69.2 million)." The company is fully focused on its Nano FULL LED technology as something that will continue to drive its sales in the coming months, and the traditionally strong Christmas period is approaching fast. "…Nano FULL LED technology and consumer-friendly energy efficient products, combined with anticipated strong sales during the holiday season, are expected to contribute to the company's overall performance in the future," added the Korean company's statement. 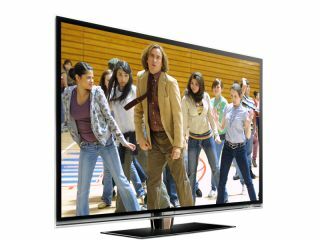 LG has seen several of its newest televisions make a real impact, and the LG 47LE8900 reviews included a five-star rating from TechRadar.